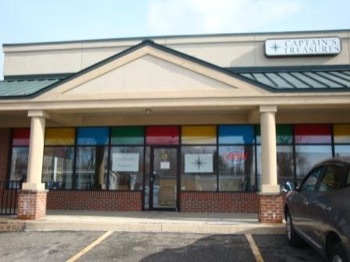 CAPTAIN’S Treasures is a special next-to-new store that provides gently-used, quality clothing and household goods at great savings for families. 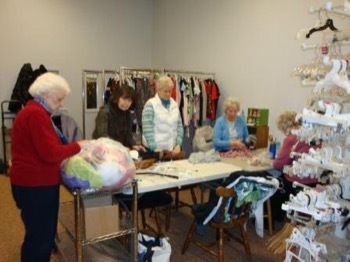 Over 60 dedicated volunteers help to operate the store and organize the generous daily outpouring of donations from the community. The store is open every day of the week, with varying day and evening hours; it is closed on most major holidays. A shopping trip to CAPTAIN’s Treasures is an enjoyable, affordable experience for people of all ages and interests. The sales proceeds from CAPTAIN's Treasures help to support CAPTAIN CHS's programs and services. CAPTAIN’s Treasures also provides clothing and household goods at no cost to deserving individuals or families suffering significant hardships, such as victims of domestic violence or theft, or who have lost their homes due to fire or other disaster. We are located right next to Jocelynn’s Bridal store and Snyder's Restaurant on Route 9. Please see the map below. Please note that CAPTAIN's Treasures is closed on major holidays. Thank you for considering CAPTAIN’s Treasures as your donation destination for gently used clothing, housewares and furniture. Your generosity enables us to offer free or low-cost items to those in need as well as support the work of CAPTAIN CHS’s many programs throughout Saratoga County. Additionally, you are helping the environment by recycling items that can be used by others. When making your decision to donate, please use the following guidelines as we have very limited storage and dumpster space and cannot accept everything you may wish to donate. Donation Hours: Monday - Friday, 9:00 a.m. - 5:00 p.m., Thursday late hours to 7:00 p.m., and Saturday, 10:00 a.m. - 3:00 p.m. Please do not “drop and run” as those found doing so may be subject to a fine for littering. There are no Sunday donation hours. Process: Please bring your donations to the rear entrance of the store and knock. Items deemed unacceptable will be returned to you for off-site disposal. CAPTAIN CHS reserves the right to refuse any and all items. Please refrain from dropping off (DUMPING) donations when we are not open or leaving them at the door, as this is against the law. Violators will be prosecuted. Household Items: Dishes, cookware, bake ware, glassware, eating and cooking utensils and collectibles must be dusted, clean and free of chips, cracks and dents. Small appliances are only accepted if they are clean and in excellent condition. Linens and bedding must be washed and stain-free prior to donating. 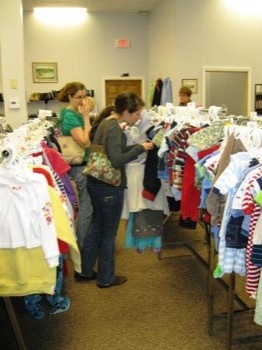 Children’s Items: We can only accept clean clothing and books in good condition. We are prohibited by law from reselling baby furniture, car seats, strollers or toys. Furniture: Please call ahead to make sure we have room for your donation. Furniture must be in “move-in” condition, meaning it cannot be soiled, broken, moldy, severely scratched, covered with pet hair, or smelling of smoke. We do not pick-up or deliver furniture. Also, please bring someone with you to help unload and pickup your furniture. Other: Books, artwork, CDs and DVDs will be accepted on an as-needed basis. If our current stock exceeds demand, we may have to refuse your donation. Cribs, strollers, high chairs, car seats, crib bumpers, etc. Thank you for your cooperation. This helps to defer our costs for disposal/removal of "un-saleable" merchandise, and helps to maximize our limited space.